Under the influence of Gemini the areas affected are the ones concerning security, long term projects, house and property. They encourage you when it comes to travel, to broader horizons and security in the years to come. Alongside a Gemini you tend to become restless, because he is full of ideas that he communicates at an amazing speed; you can choose between two attitudes in order to deal with these ideas: to be discriminatory or selective. None of you are satisfied with second place. 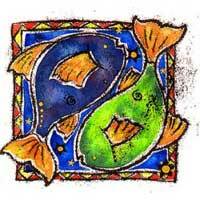 Union of these two zodiac signs is very eventful, and you will encounter many problems and obstacles. They can be viewed as attempts. 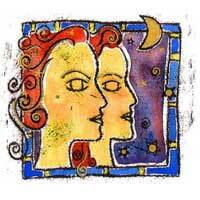 The combination of Neptune and Mercury generates confusion, but in a varied and cheerful manner. Together, you don't have a clear direction to follow, and Gemini will have to take the lead and see if you get somewhere, otherwise you get the impression that this is going nowhere. This road will be at least pleasant, although the relationship may be a waste of time. Everything depends on the maturity of both of you.